Receiving Phased Array with Small Electric or Magnetic Active Wideband Elements. Experimental Performance Evaluation. Chavdar Levkov (b.1949 in Sofia, Bulgaria). First crystal detector radio at the age of 10. First QSO in 1963. LZ1AQ call sign obtained in 1969. M.Sc. degree in telecommunications from Sofia Tech. University in 1973. In 1973 designed a simple CW/SSB transceiver which become widely popular among Bulgarian amateurs. More than 200 copies were built. Worked in the field of biomedical engineering from 1976 in the Institute of Biomedical Engineering and the Medical Academy in Sofia. Obtained Doctor of Science title in 1987 in the field of Technical Electrocardiology. Assoc. Professor from 1990. From 1991 founder and C.E.O. of a small firm for design and production of electrocardiological equipment. The radio has been his first love and hobby. Married – wife Mariana, sons Lev (LZ1ACD) and Chavdar jr. (LZ1ABC). 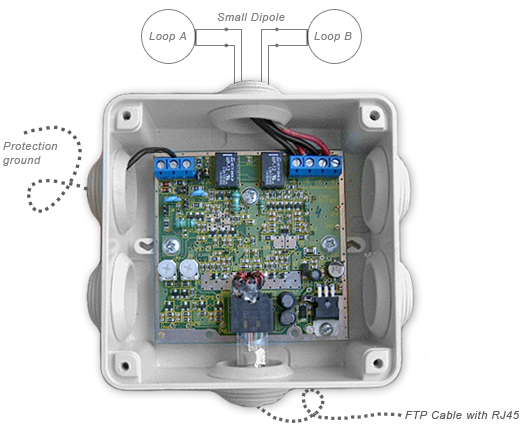 This amplifier is intended for construction of small wideband active receiving antennas from LF to upper HF bands. The mechanical construction of the particular loop/dipole antenna must be performed by the user. This amplifier can use two separate small magnetic loops. These two loops are used also as two arms of a small electrical dipole. Thus 3 different antennas can be used. The amplifier has four remotely switched modes: Loop A, Loop B, crossed parallel loops A&B and dipole. Each mode can be switched immediately and this enables us to use the best antenna for the moment. 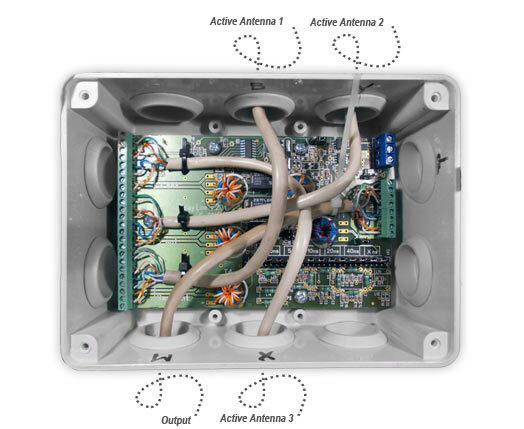 Find out how you can create your own Active Antenna Phased Array with Our Variable Delay Line Kit.